Fostamatinib produces clinically meaningful responses in adults with immune thrombocytopenia (ITP), reports a study published in the American Journal of Hematology. James Bussel and associates identically‐designed two parallel, phase 3, multicenter, randomized, double‐blind, placebo‐controlled trials of fostamatinib compared to placebo for the treatment of persistent/chronic ITP where patients with persistent/chronic ITP (median duration, 8.5 years) were randomized in a 2-to-1 ratio to fostamatinib (101 patients) or placebo (49 patients), at 100mg twice daily for 24 weeks, with a dose increase to 150 mg twice daily after four weeks in non-responders. The primary endpoint was the stable response (platelets ≥50 000/μL at ≥4 of 6 biweekly visits, weeks 14‐24, without rescue therapy). Baseline median platelet count was 16 000/μL; median duration of ITP was 8.5 years. Stable responses occurred in 18 percent of patients on fostamatinib versus 2 percent on placebo. Forty-three percent of patients on fostamatinib and 14 percent on placebo achieved overall responses (defined as ≥1 platelet count ≥50,000/μL within the first 12 weeks on treatment). With the 100 mg dosage, the median time to response was 15 days, and 83 percent responded within eight weeks. Diarrhea, hypertension, nausea, dizziness, and alanine aminotransferase increase were the most common adverse events and were all more frequent with fostamatinib versus placebo. However, most adverse events were mild or moderate and resolved spontaneously or with medical management. The study concluded that fostamatinib targets the Syk‐mediated pathway of platelet‐destruction, producing a stable response (>50 000/μL at 4 of 6 counts during weeks 14–24) in 18% of patients on fostamatinib compared with 2% on placebo and an overall response in 43% on fostamatinib compared to 14% in placebo. The researchers warranted the need for further studies to investigate whether higher response rates will be seen when fostamatinib is given earlier in the course of ITP, further study the mechanism of Syk inhibition, and explore which patients are most likely to respond to treatment. Immune thrombocytopenia (ITP) is an autoantibody‐mediated bleeding disorder, characterized primarily by accelerated platelet destruction and also by impairment of megakaryocyte function. Fostamatinib has been approved by the FDA this year and the recommended dose initially is 100 mg administered orally twice daily. 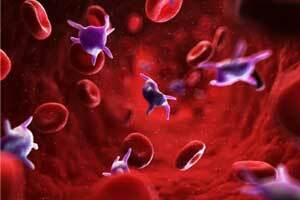 After a month, if platelet count has not increased to at least 50×109/L, increase dose to 150 mg twice a day. The most common adverse reactions in at least 5% of patients treated with fostamatinib were diarrhoea, hypertension, nausea, dizziness, alanine aminotransferase/aspartate aminotransferase (ALT/AST) increased, respiratory infection, rash, abdominal pain, fatigue, chest pain, and neutropenia.